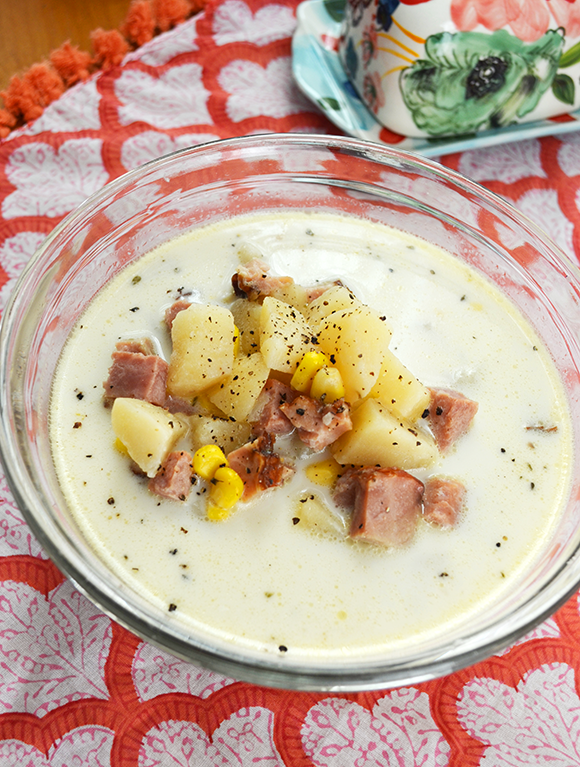 I found this Potato, Corn, and Ham Chowder recipe on Pinterest and can't get over how easy and delicious it is. I just threw it in the crock pot before I went to work and came home to the house smelling amazing. 1. Place potatoes, corn, ham, garlic, thyme, broth, and pepper in a crock pot. Stir ingredients together, cover, and cook on low for 6-8 hours. 2. Scoop out one cup of potatoes onto a plate, mash thoroughly, and return to the crock pot. Stir in half-and-half, cover and continue to cook until heated (about 15 minutes).